In August 2007, another extraordinary design project by Ron Wilson & his partner, Joe Guidera, was featured. This time, a magnificent Oceanfront estate, on the island of Maui was offered for view by Architectural Digest on pages 91 - 99. Years spent in new construction revealed a home replete with all of the feeling of Old Hawaiiana. 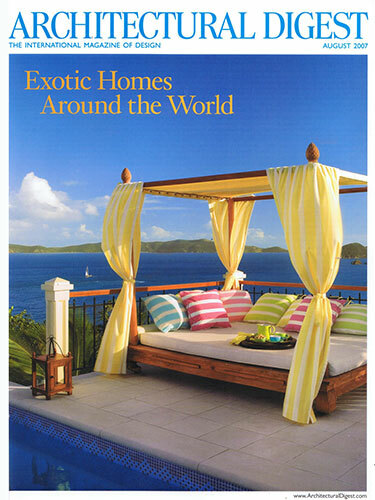 Extraordinary comfortable furniture, fabrics and accessories play host to island breezes and surreal tropical vistas.